Another strong week for gold demand at the Shanghai Gold Exchange – China’s main physical gold bourse. 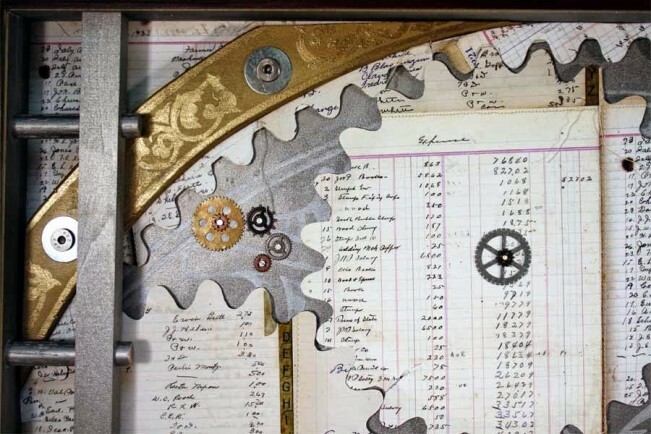 From 19 until 23 October 57 tonnes have been withdrawn from the vaults of the Shanghai Gold Exchange (SGE), according to data released on Friday by the SGE. Year to date 2,119 tonnes have been withdrawn. 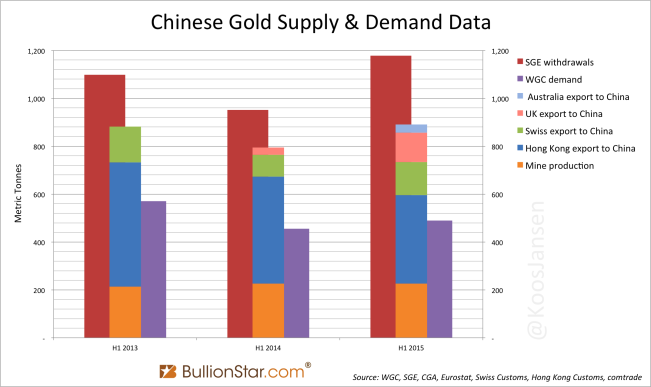 With a little over two months left in 2015 SGE withdrawals, which capture the amount of Chinese wholesale gold demand, are set to reach more than 2,500 tonnes in 2015, breaking the record of 2013 at 2,197 tonnes. SGE withdrawals have made a spectacular run up this year since the Chinese stock market came crumbling down in June. 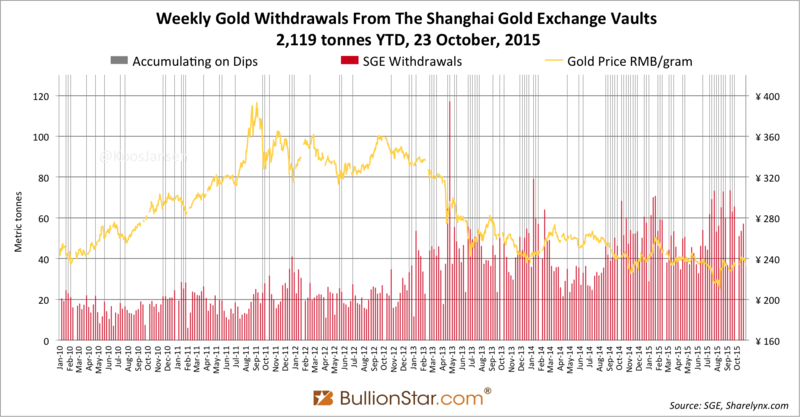 In between June and October SGE withdrawals have been 1,138 tonnes, up 37 % year on year. 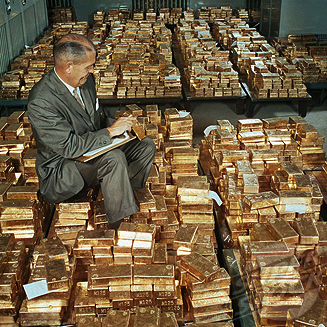 The People’s Republic of China does not publish the amount of gold imported, however, from foreign trade statistics provided by other nations and physical turnover at the SGE we can estimate China will net import at least 1,300 tonnes of gold in 2015 – transcending net import in 2014, which was an estimated 1,250 tonnes. Whilst the SGE releases withdrawal data every week, foreign trade statistics are released on a monthly basis. Wholesale gold demand in China mainland was elevated in recent months, but it always remains to be seen exactly how much gold was net imported in order to supply the SGE. Let’s have a look at what gold trade data has already been released for the past months: Switzerland has net exported 21.69 tonnes of gold to China in September – up 28 % month on month – according to the most recent data from the Swiss Customs department. 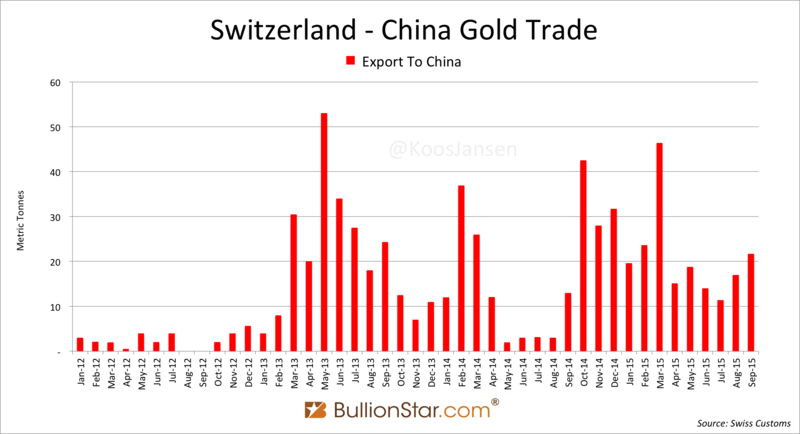 This is the largest amount of gold export to China from Switzerland in six months. Trade data from the Hong Kong Census And Statistics Department has not yet officially been released, but Reuters gave us a sneak preview. Net export from Hong Kong to China mainland in September was 97 tonnes, up 63 % month on month and the largest amount of gold export to China in ten months. 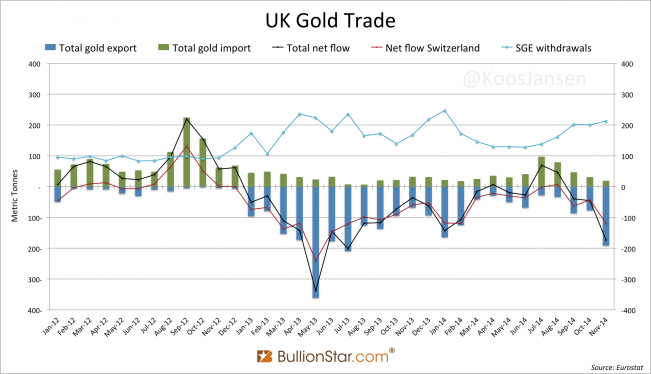 Foreign Trade statistics from the UK and other major gold trading hubs has not yet been published. 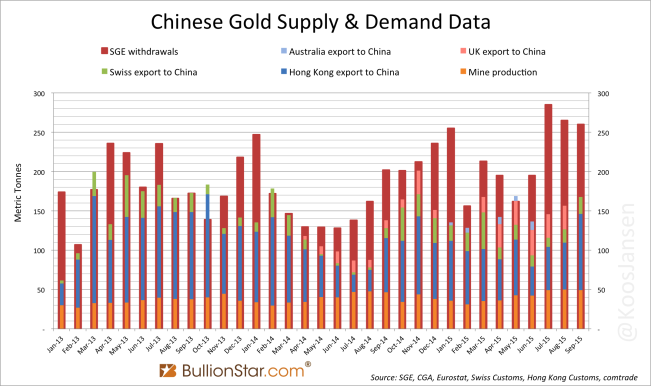 Although not all gold trade data can be collected, we can see in the chart below, that displays currently known Chinese physical gold supply, gold import into China is steadily rising along side strong SGE withdrawals. In this chart foreign trade statistics from Australia are not included for July, August and September, and foreign trade statistics from the UK are not included for September. As usual, apparent physical gold supply in China is much more than what the mainstream media would like you to believe. Most notably, since 2013 gold supply in China has been thousands of tonnes more than what consultancy firms like the World Gold Council and GFMS disclose as Chinese gold demand. 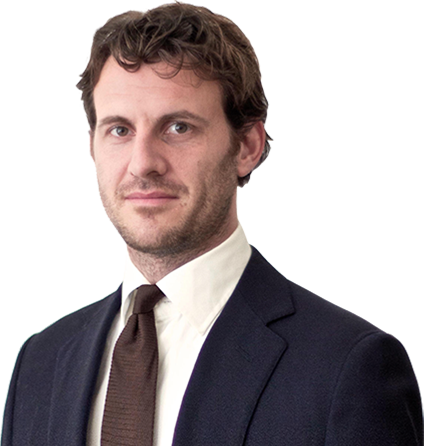 On the LBMA conference in Vienna (18 – 20 October) it was discussed, again, that Chinese Commodity Financing Deals are the sole reason for the missing gold in China. This is not true. Chinese Commodity Financing Deals (CCFDs) with respect to gold can be either conducted through round tripping or gold leasing. Round tripping has got nothing to do with the Chinese domestic gold market and gold leasing can never have ‘swallowed’ a few thousand tonnes of gold from reaching genuine demand. 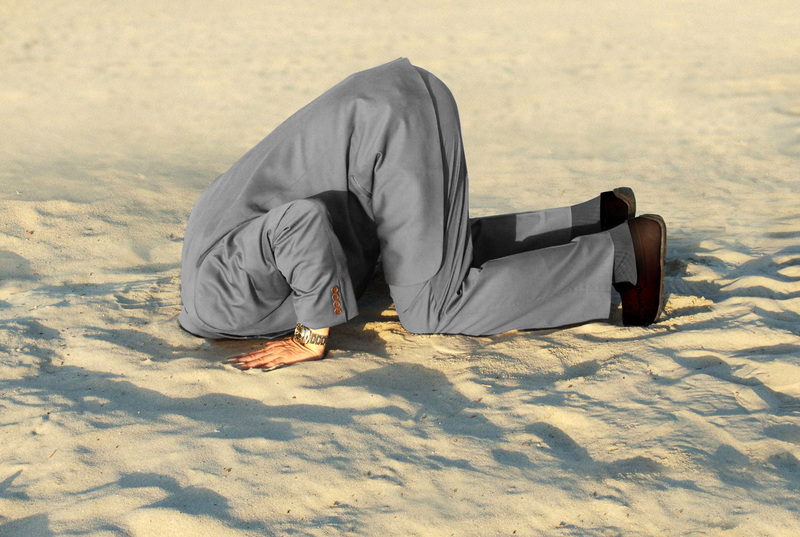 Because the myths about CCFDs keep being repeated I will write a new extensive post on CCFDs. On the website of VTB Bank it was announced it has been granted SGE member status, with the right to participate in trading on the Shanghai International Gold Exchange (SGEI). VTB is the first Russian bank to enjoy member status of the Chinese exchange. Russia has hardly been exporting non-monetary gold directly to China in recent years. Now VTB is an SGE member this will change, as Russian banks are often the exporters of mined gold of Russian mining companies. 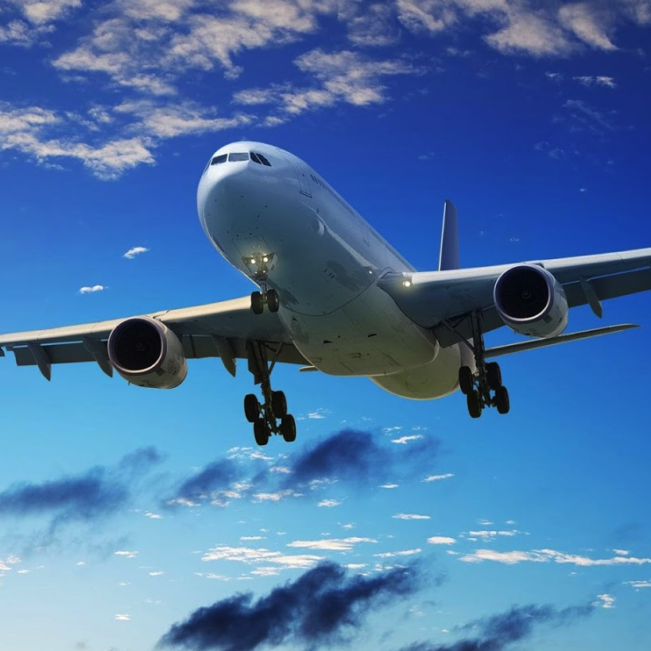 I will closely watch the foreign trade statistics provided by Russia’s customs department. 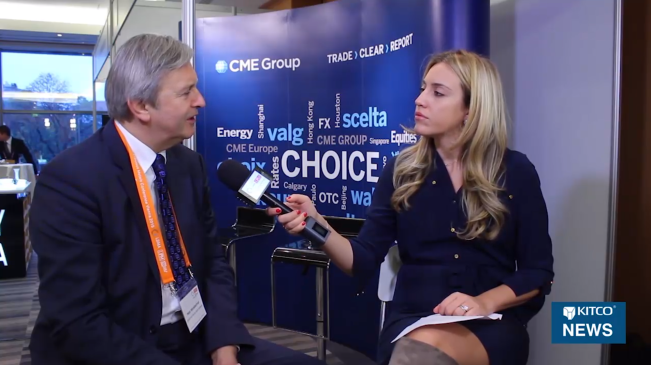 “Access to trading on China’s domestic precious metals market will give VTB Bank, which also trades on Western exchanges, more opportunities to sign gold deals in Shanghai. 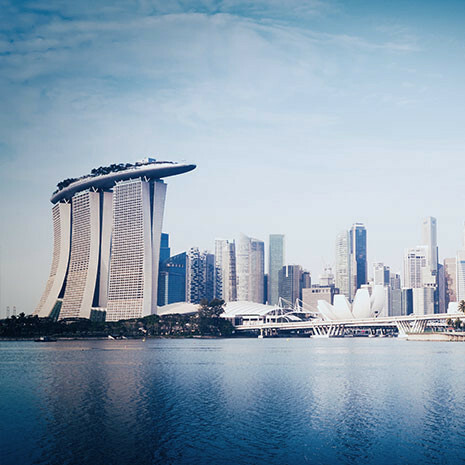 As an important element of our Chinese strategy, we continue working to develop the bank’s business and that of our clients in the Shanghai Free Trade Zone.…” said Herbert Moos, Chairman of VTB Bank’s Management Board. The biggest part of Russia’s mining output is sold to VTB and Sberbank, who sell it to the Russian central bank and foreign buyers – according to newswire EM Goldex. Russia’s largest gold mining company Polyus Group, that mined 53 tonnes in 2014, announced in early May it would start cooperating with China’s largest mining company China National Gold Group Corporation in resource exploration, technical exchanges and materials supply. Shortly after, we learned this cooperation is part of the Silk Road economic project that was initiated by China. Polyus sells the lion share of its mine output through Russian banks. If we look at the 2014 Polyus Annual Report we can see it sold most if its gold (38 %) through VTB Bank. In 2014 Polyus sold gold valued at 841 million US dollars through VTB Bank. 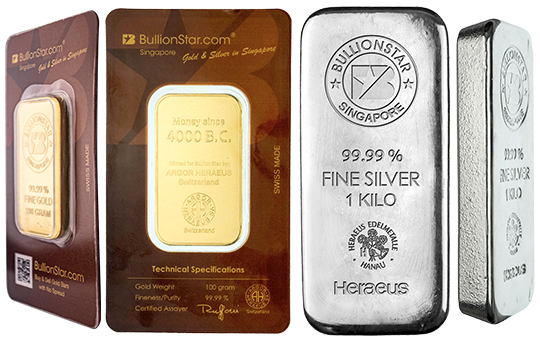 In the past this gold has probably not been sold directly to China or through the SGEI. This is about to change since VTB is now SGE member. VTB Bank’s SGE membership is significant, as it can be seen as more cooperation in the gold industry on the Eurasian continent along the Silk Road between Russia and China.